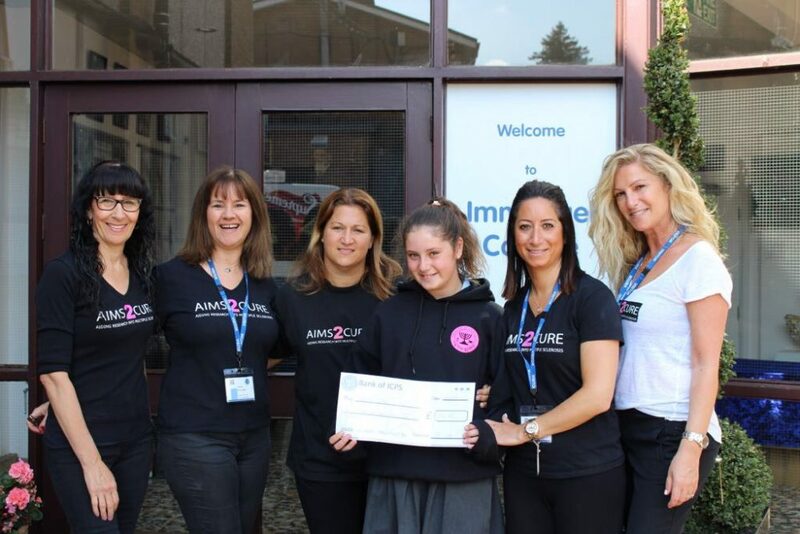 Bella Margolis’ winning pitch to her year group meant Aims2Cure received the proceeds from the recent school fayre in May 2017. The school raised over £200 running different stalls. Multiple Sclerosis is a cause close to Bella’s heart as her father suffers from the condition and we were delighted to be invited into the school assembly to talk about the charity and be presented with the cheque. Thank you to the entire school, and a huge thank you must go to Bella for all her hard work. Well done.